Brioni is the Italian menswear couture house recognized for its made to measure men’s suits and leather goods. Its history is embedded with famous clientele - the peak of Brioni’s look was in the 1950s - dressing classic stars such as John Wayne and Clark Gable. It is famously known for its concepts within menswear; ready to wear haute couture, trunk shows and the man as fashion consumer - who Brioni see as both business and entertainment driven. In the 21st century however, the house has lacked momentum on the menswear spectrum – with little presence in the fashion calendar or online. 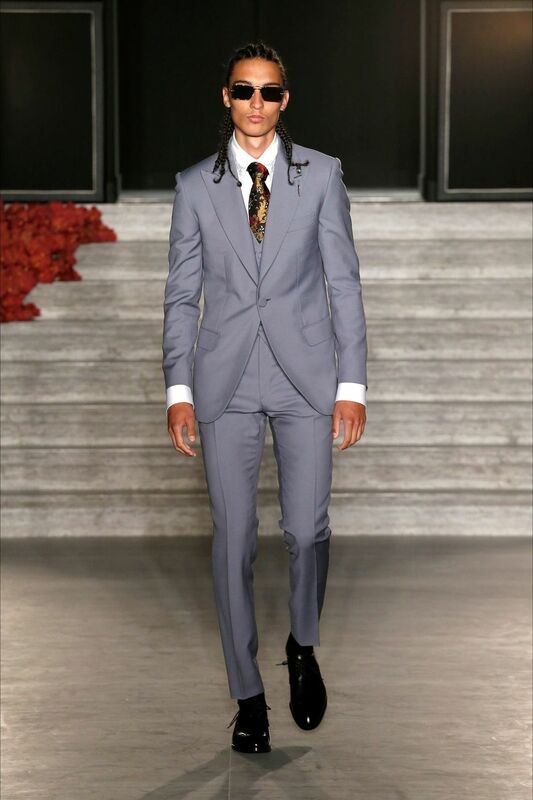 Desiring to take a new turn in its history, in March 2016 Brioni opted for a true rock and roll rock creative director in their hiring of Justin O’Shea. O’Shea, previously fashion director at German site MyTheresa has never been a designer but has always been a driving force in sales. His personal look is what makes him such a wise choice - O’Shea is a three-piece suit wearing street style sensation, he is tattooed, profoundly muscular and to boot with a heavy love for hard rock. In his first few months at the helm, O’Shea’s new look Brioni could be compared to Hedi Slimane’s previous vision at Saint Laurent – reminiscent of a certain era and look. He has redesigned the Brioni logo, it is now semi-gothic, semi hard-rock font inspired and the new campaign is fronted by American heavy metal giants Metallica. 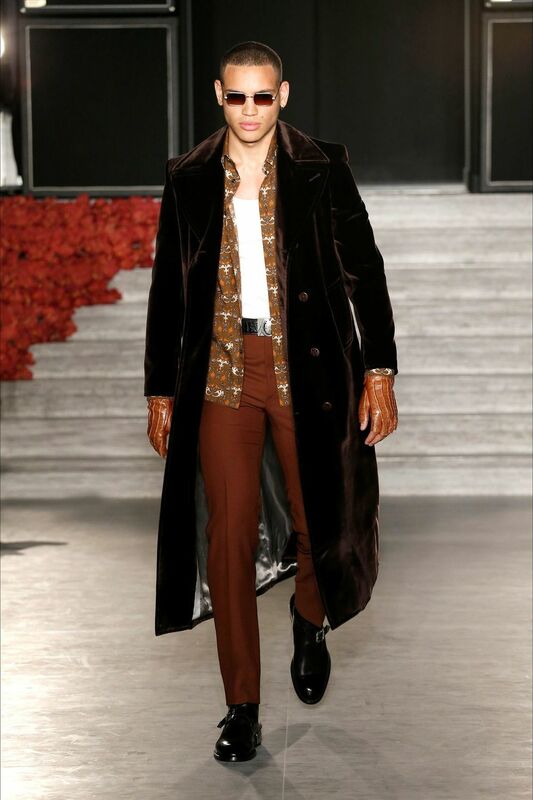 Accordingly, the fashion world was looking to O’Shea’s first runway collection to see how the clothes would follow suit and on Monday 4th of July, in the midst of the women’s Fall-Winter 2016 couture shows, O’Shea’s first Brioni collection was launched. The show honed in on tailored jackets, heavy leather and silk shirts combined with double breasted suits – O’Shea has opted for the traditional elements of Brioni’s bespoke tailoring, combined with a rock and roll eccentricity, that has developed from his personal style and his knowledge of a business model that will sell. Brioni has taken a turn towards a hardened menswear, heavily and unapologetically masculine with a solid rock undercurrent. 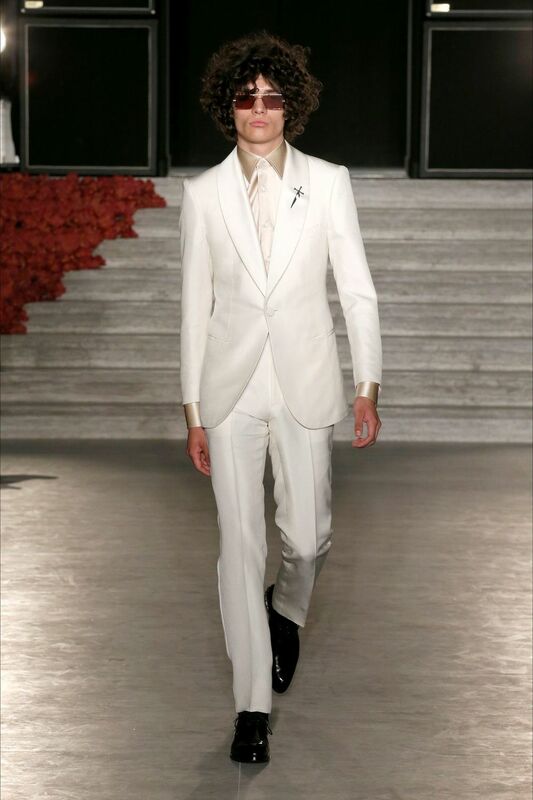 The suits were ultra trim and made up a majority of the collection – made with large shoulders and wide collars, complete with wide ties – not a look for wallflowers but for rock eccentrics. The downside to this collection, however, is his predominant use of fur and crocodile leather. In this day and age fur is not the only way to go. 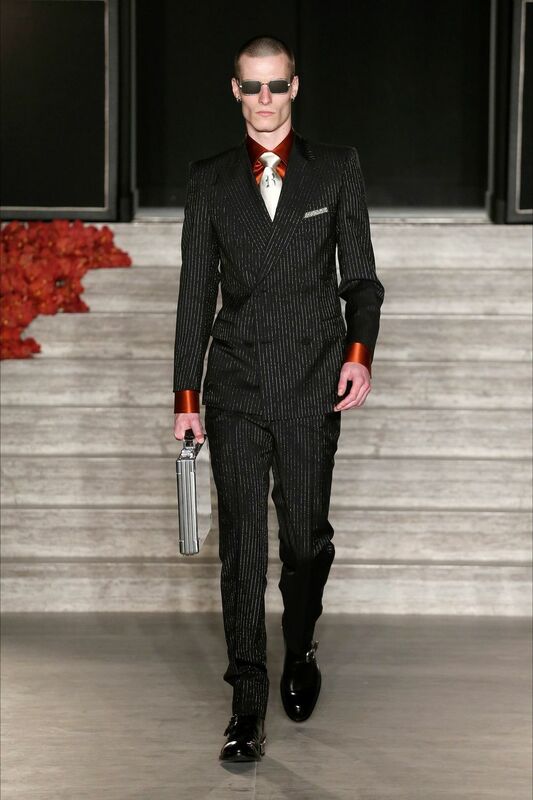 O’Shea has the ability to put Brioni back on the fashion map with a line-up of men in a hardened suit. The tailoring is second to none with a modern opulence – foreseen to be adorned by rock and street style stars alike – who will keep the suits as a staple luxury item – fitting in a wardrobe of both rock and roll and classic tailoring. Brioni are convincing men to buy into the extravagant suit again and as O’Shea has tried to position in the advertising campaign - this is a look that the greatest of music fans will buy into.